The chance that 2018 will be the year that regulated online poker is approved in California appears to be nonexistent following the disclosure by prominent CA Assembly “GO” Committee member Reginald Jones-Sawyer that no online-poker legislation is likely to be introduced in the state’s Assembly this year. Instead, according to Jones-Sawyer, California, as with many other states, is keeping close tabs on the sports-betting fight between the State of New Jersey and the US’s major professional sports association’s over the US’s federal-level PASPA (Professional and Amateur Sports Protection Act” battle nearing its conclusion in the US’s Supreme Court. A decision in that case, commonly called Christie II, is expected later this spring or early summer. If that decision is in favor of New Jersey, a flock of US states including California are likely to seek to regulate sports betting. In California’s case, however, the earliest such a sports-betting legalization measure would likely be introduced is at the start of 2019. The current legislative session in the state runs through the end of 2018, and that session is bound by a deadline for the introduction of new measures that hits on Friday. In any event, said Jones-Sawyer, speaking to OPR on the issue, it’s more likely that online poker would be joined to a sports-betting bill as part of an omnibus gambling expansion than to be explored again as a standalone topic. One or more online poker bills have been introduced in California nearly every year for the last decade, including one submitted in 2016 by GO Committee chairman Adam Gray. 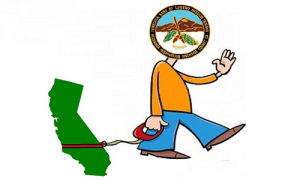 However, a small but politically powerful group of hardline California tribal nations has succeeded in stonewalling all previous efforts; all of those bills have died in committee or on the Assembly floor, many without a vote. The obstructionist group of hardline tribes, led by the Pechanga, Agua Caliente and Viejas nations, has stymied all forward efforts by its perceived online-poker competition. The group has often demonized its political foes, which have included international operator PokerStars (a would-be partner with several California casinos and card rooms), and, as of late, the entire non-tribal cardroom industry as it exists in California. Those state-licensed rooms have taken quite a bit of heat over their offering of certain banked games in alleged violation of California gaming law, though the long game being played by the hardline tribal group may have a different goal. That goal may be attempting to create a California online-gambling environment where only sites offered by tribal nations are licensed. As we’ve explored here at Flushdraw in the past, the bills authored by the Pechanga group in the past have not only pushed in that direction, they’ve also included the legally dubious entitlement of extending tribal nations’ reservation-based sovereignty into consumers’ homes, no matter where those consumers live (meaning on reservation or off). Californian online-gambling consumers with complaints would thus have little recourse in case of a legal dispute with online tribal casinos. That pending sovereignty battle — likely to be championed by California consumer organizations at some point — still takes second fiddle to the hardline group’s ongoing attempts to clear its potential market competition from the scene. That’s led to perpetual strained feelings among the various factions, a situation that Jones-Sawyer addressed when speaking to OPR. There’s a larger point being dodged by Jones-Sawyer, however: 2019’s possible sports-betting legalization will reopen many of those same issues between stakeholders. Under this scenario, the hardline group’s primary demonization target likely would be California’s many pari-mutuel outlets, which the Pechanga group has targeted in the past as well. The wise long-game bettor should have realized long ago that the hardline group plans to block any and all online-gambling legislation unless it’s made exclusive to tribal gaming at the expense of all other potential stakeholders. The group’s claims of not being obstructionist ring hollow after a full decade’s worth of obstructionist behavior. It all means a bleak near-term future for legalized online poker’s chances in California. Several years back we predicted that despite the plethora of online-poker legalization bills in the US’s most populous state, it would be many years before such legalization was achieved. Such legalization would come only after several more populous US states joined the online poker market, in the process making it more and more clear that California was missing out on a revenue stream. Sometimes it stinks to be right, but all this has been California’s reality for several years. The situation isn’t changing any time soon.